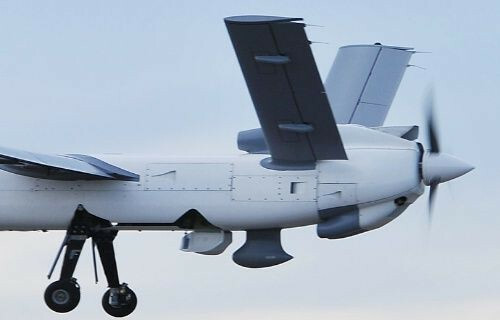 The Anka MALE UAV system can perform all weather, day / night intelligence, surveillance and reconnaissance (ISR) missions, tracking of fixed and stationary targets, signals intelligence (SIGINT) and communications relay. 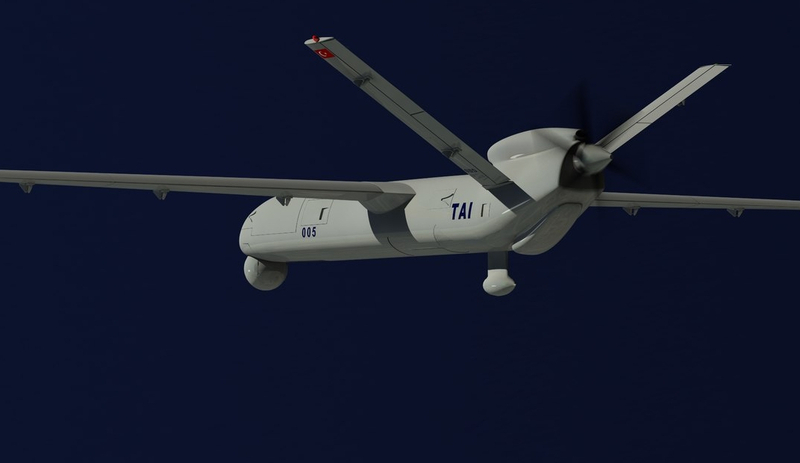 In December 2004, TAI received a contract from the Turkish Armed Forces to develop and produce the indigenous MALE UAV system as part of the Turkish Unmanned Aerial Vehicle (TUAV) programme. 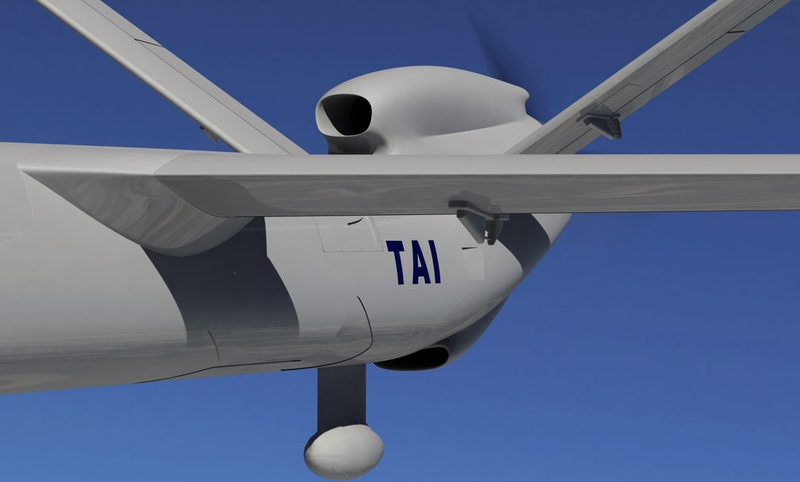 Under the TUAV project, TAI is responsible for developing three prototype UAVs and the associated ground systems. The preliminary design review (PDR) was completed in May 2008. Anka was unveiled at the Farnborough Air Show in July 2010. 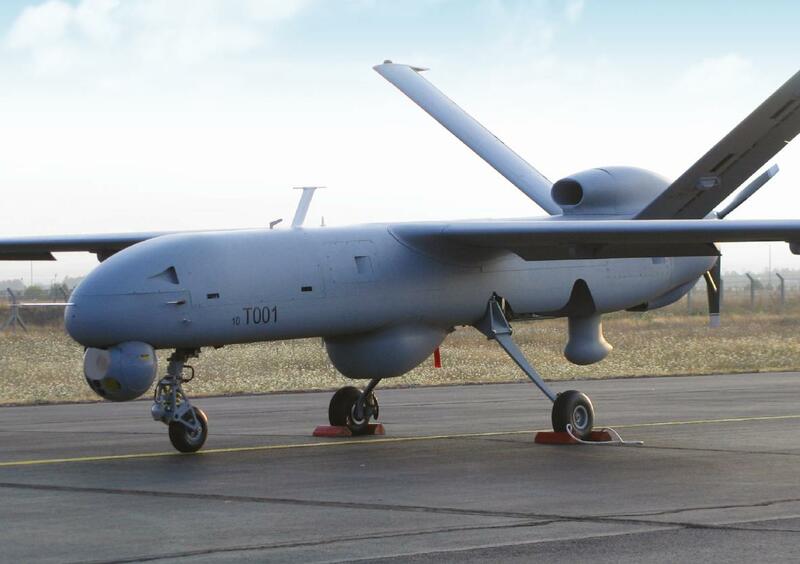 The first Anka UAV successfully completed its maiden flight in December 2010. The UAV demonstrated its automatic take-off and landing capabilities in November 2011. A technical issue caused the crashing of a prototype vehicle during final tests in September 2012. TAI completed the acceptance testing campaign of Anka in January 2013. TAI also plans to design Anka Plus A, an armed variation of Anka. The new Anka Plus A is expected to carry Cirit missiles developed by Roketsan. CİRİT, is a missile with the longest range in its class which provides a superior precision against light, armored/unarmored and stationary/mobile targets as well as being a cost effective solution. The Smart Micro Munition (MAM-L), developed by ROKETSAN in line with today’s battlefield requirements, attracts attention as a solution that increases the efficiency of air platforms with low payload capacity, especially that of unmanned aerial vehicles (UAV). MAM-L, a variant of the Laser Guided L-UMTAS (Long Range Anti-Tank Missile System) that is also developed by ROKETSAN, the only difference being that it does not have a rocket motor and glides in the air has already been integrated to the BAYRAKTAR and KARAYEL tactical UAVs that are currently being used by the Turkish Armed Forces. The MAM-L, which is being successfully used in various operations involving UAVs, stands out as a munition that has proved itself in the field. With its low weight of about 50 pounds and a length of 1 m, the MAM-L offers a cost-efficient solution for light attack aircraft as well as UAVs. The MAM-L, with its high explosive fragmentation warhead, is highly effective against light structures, unarmored ground vehicles, radar antennas and soft targets like weapon pits and personnel, in a 25 m radius. The other version with tandem high energy anti-tank warhead is effectively used against heavy armored tanks. The munition can be used efficiently at ranges of up to 8 km, depending on the altitude from which they are released. Anka’s structure is of composite material construction, while some fittings and frames are built using high-strength material to withstand concentrated loads. The fuselage is covered by a mono-block bottom skin. It is integrated with two dedicated payload bays accommodating two primary payloads. The other subsystems including avionics, electrical systems and the engine are housed in various serviceable sections. The wing and tail components include front and rear spars as well as ribs. The UAV is equipped with dual redundant control surfaces driven by a dedicated electro-mechanical actuator. An electro-expulsive ice protection system (IPS) de-ices the wing and tail leading edges. Anka has a length of eight metres, wing span of 17.3m and a height of 3.4m. The maximum take-off weight of the UAV is 1,600kg. The TAI Anka will also eventually have an indigenous 155 hp Turbo prop engine developed by TUSAŞ Engine Industries (TEI) with cooperation with other Turkish companies in the future. A 5+ ton, turbo-prop powered, High Altitude Long Endurance (HALE) version of the ANKA is also being planned. 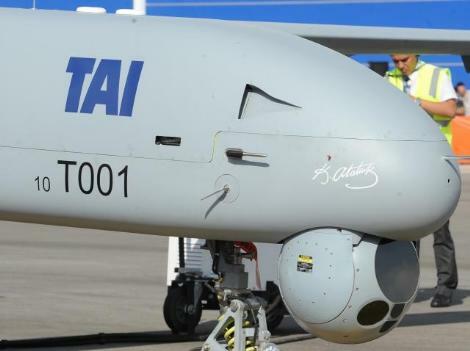 TAI officials have announced that the Strategic Unmanned Aerial Vehicle version named ANKA-TP will feature a new mission computer, airframe and have the ability to carry between 1 and 1.5 Tons in armament. It will have a span of 23 meters, speed of between 200 and 250 knots and a cruising altitude of 40,000+ ft.
On 30 January 2015, the ANKA-B completed its maiden flight successfully. 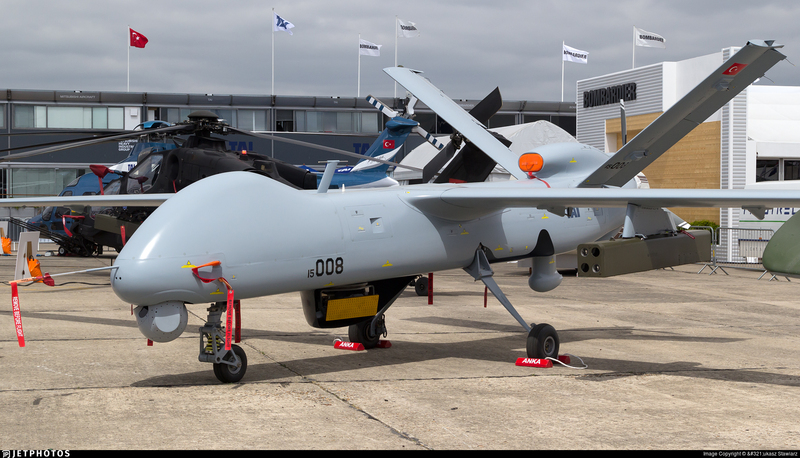 Anka Block B is a developed version of the Anka Block A and carries an Aselsan synthetic aperture radar/ground moving-target indicator payload in addition to the UAV’s electro-optical/infrared sensor. During the maiden flight, Anka-B successfully performed “basic shakedown” and auto-landing. 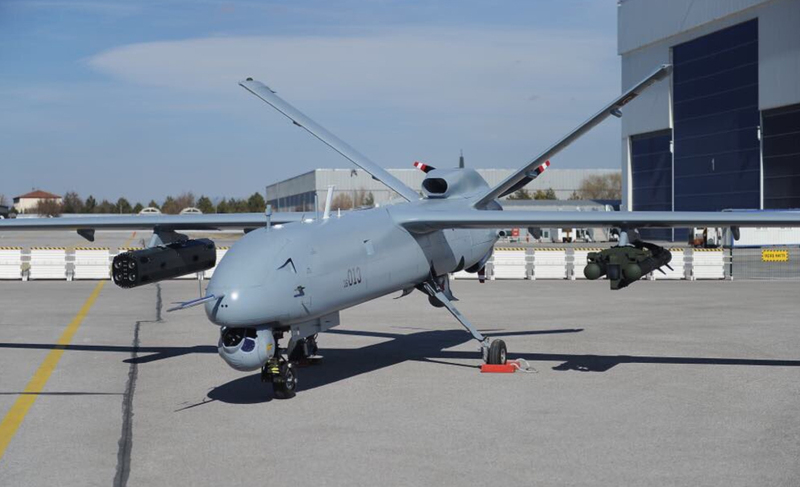 The Anka Block B also has a greater payload capacity than that of the Anka-A which includes SAR/ISAR/GMTI radar (in addition to the cameras of Anka A) that obtains and remits high resolution intelligence data back to base. 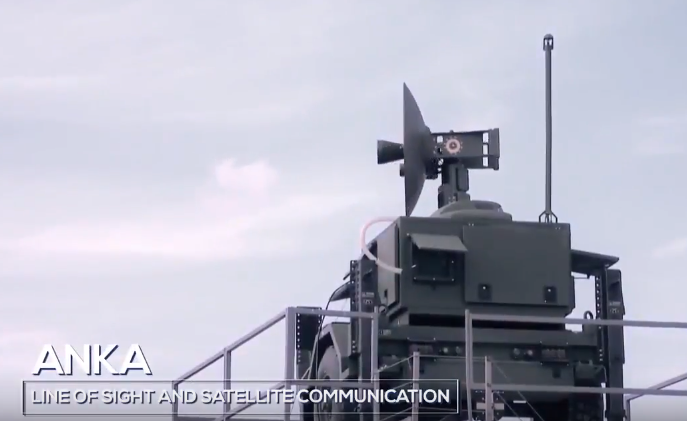 The ANKA Block B paves the way for weaponisation of the platform in the foreseeable future. Anka block B passed 30.000 feet, 26hr and 200 km radius during test flights The Turkish Air Force ordered 10 ANKA-B platforms in 2013 at a cost of $300 million. ANKA-S is the serial production variant of ANKA. This variant is equipped with ViaSat’s VR-18C Highpower SATCOM antenna and indigenous flight control computer. Like ANKA Block A and ANKA Block B, ANKA-S will be powered by Thielert Centurion 2.0S. However Turkish Engine İndustries (TEI) is developing a national engine for the ANKA that can operate with diesel and JP-8 jet fuel. 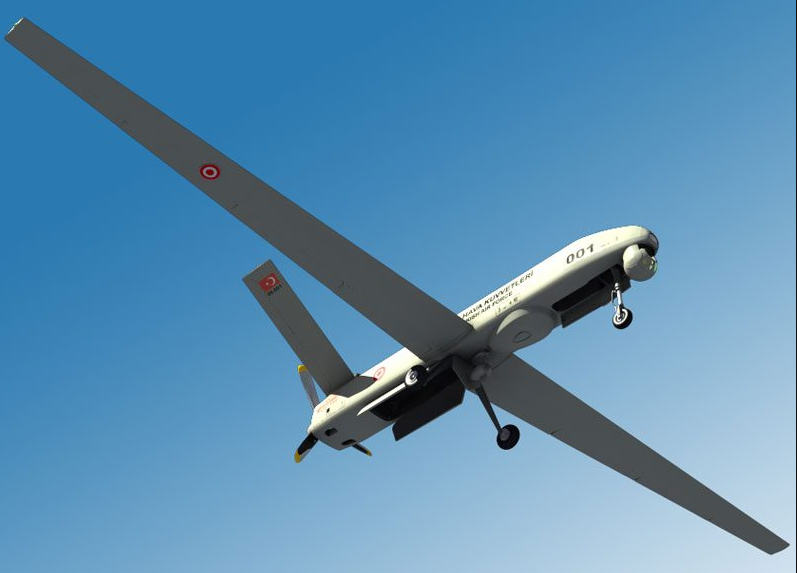 In 25 October 2013 Turkish Undersecretariat for Defence Industry (SSM) ordered 10 ANKA-S UAVs and 12 ground control stations for $290 million ($220.6 million + TRY 137 million). The UAVs will be delivered in three batches (2+4+4). The first batch is planned to be delivered in March 2017. 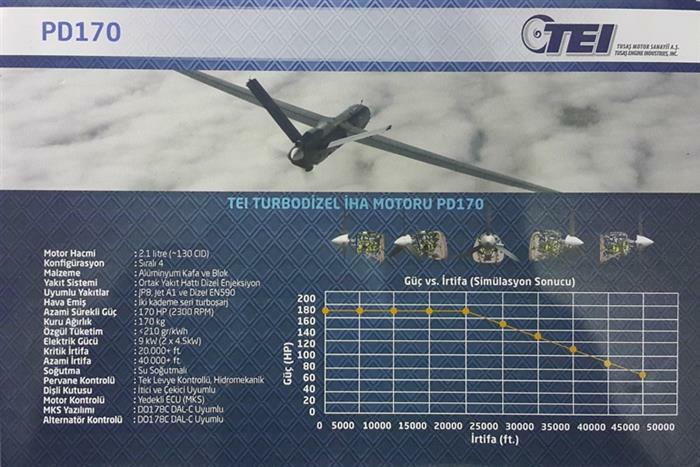 A total of 6 UAVs are planned to be delivered in 2017. Currently 4 ANKA-S UAVs have been produced and are undergoing tests. The first two of these UAVs are equipped with StarFIRE 380-HDL FLIR payload. However these will be replaced with Aselsan CATS later on. 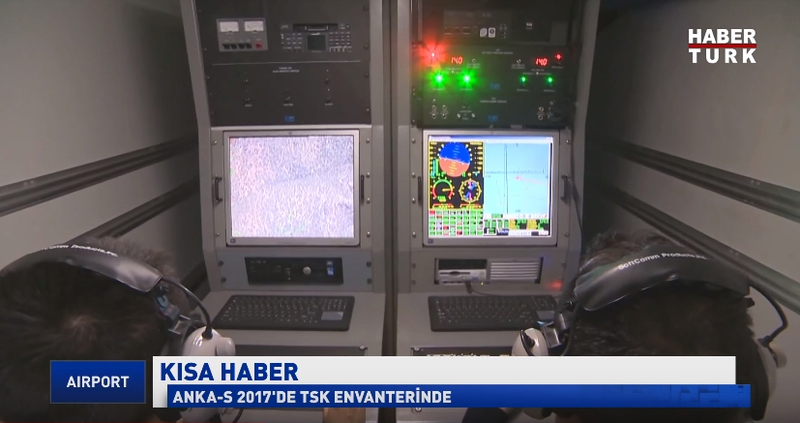 Bangladesh Air Force (BAF) to buy Turkish TAI Anka UAV. 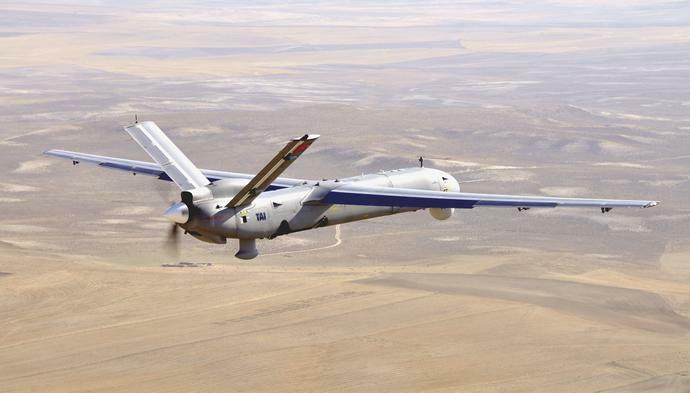 Reportedly BAF ordered Anka-S UAS which is the Unmanned Combat Aerial Vehicle or UCAV version of the Turkish Aerospace Industries developed Anka ISR drone. BD Air Force forming up their unmanned aerial vehicle fleet. This fleet would comprises both surveillance & combat UAV. BAF wants a true force multiplier to augment force’s real capabilities to ensure national security in all aspect. 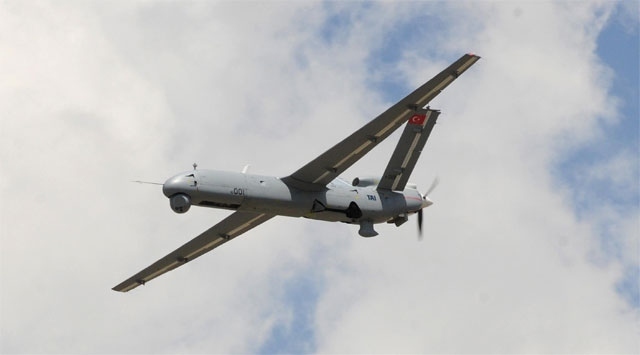 Turkish Anka unmanned aerial systems has been designed to conduct most critical operations. Anka is manufactured with latest technology and materials. Earlier in last November Chief Of Air Staff ACM Abu Esrar visited Turkey. He met with Turkish Undersecretary for Defense Industries Ismail Demir and visited several defense industries in Ankara. Before COAS Abu Esrar’s visit to Turkey there were news that Bangladesh Air Force interested to buy Turkish defense equipment including TAI Anka, T129 ATAK attack helicopter and TAI Hurkus basic trainer aircraft. Bangladesh’s savage neighbor myanmar has bought Chinese CH-3 armed drones in an unknown number. They using it against ethnic minors in rakhine and other states. They also deployed their Chinese UAVs near Bangladeshi borders. In response to burma’s jingoistic gestures Bangladesh is ready to give a befitting reply. The UAV can carry two payloads for the intelligence, surveillance, target acquisition and reconnaissance (ISTAR) missions. 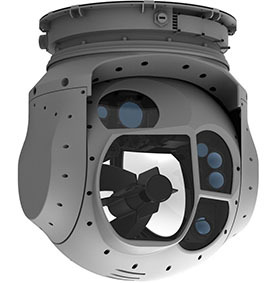 These include an electro-optic / forward looking infrared / laser range finder (EO/FLIR/LRF) payload (AselFLIR-300T) and synthetic aperture radar / ground moving target indicator / inverse SAR (SAR/GMTI/ISAR) payload. The AselFLIR 300T radar system is supplied by Aselsan. The two primary payloads are accommodated in two separate payload bays. The environmental control system (ECS) is used for controlling the temperature of the avionics compartments. CATS is a high performance electro-optical reconnaissance, surveillance and targeting system designed for fixed-wing and rotary-wing airborne platforms, including Unmanned Air Systems (UASs), helicopters and aircrafts. ASELSAN’s Synthetic Aperture Radar (SAR) is an airborne radar system for high resolution ground imaging and for the detection of moving targets on the ground. SAR systems are valuable in airborne surveillance applications, allowing for effective 24/7 imaging under all kinds of adverse weather conditions. ASELSAN’s system offers the finest resolution achievable in its class. Three distinct operating modes allow for flexible use based on mission requirements. 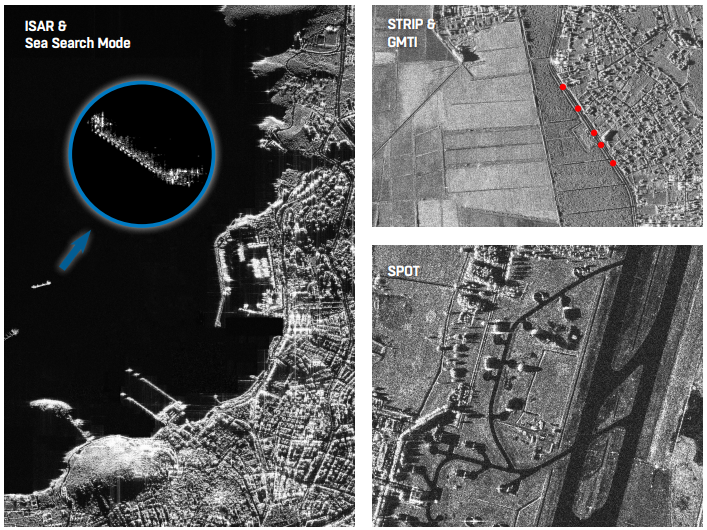 The Spotlight Mode provides high resolution imaging of a specific area of interest, the Stripmap Mode offers imaging of broader areas, and the GMTI modes enables the detection of moving targets on the ground. The system employs a modular design approach, and thus can be conveniently integrated on various manned and unmanned aircraft. The radar can be employed in a variety of military and civilian applications involving airborne surveillance and imaging. The pusher type piston-prop propulsion system integrates a Thielert Centurion 2.0 turbocharged four-cylinder engine. The engine driving electrical power generators delivers a sea level power of 155hp. It is equipped to be restarted in flight. The propulsion is provided by a three-blade constant speed propeller. CENTURION 2.0 engines are approved by the European Aviation Safety Agency (EASA) and Federal Aviation Administration (FAA). CENTURION 2.0 has EASA and FAA supplemental type certificate for the following aircraft models: Cessna-172 and Piper PA28. Diamond Aircraft Industries also installs CENTURION 2.0 engines into its aircraft, models DA40 TDI, DA42 Twin Star, while Apex Aircraft installs them into Robin DR400 models. Price in the AerojetBaltic service center, Vilnius – 48,900 €. The price includes the engine, installation works and aircraft flight calibration. The bladder type fuel tank located in the centre of the fuselage is fitted with fuel level sensors and jet pumps. The fuel is fed in to the engine via a collector tank. The fuel system is also equipped with filters, coolers, pumps and other instrumentation. The engine burns JP8 fuel or the equivalent. The propulsion system provides an endurance of 24 hours at an altitude of 30,000ft. 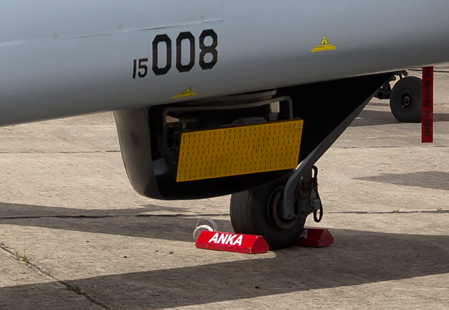 Developed for Unmanned Aerial Vehicles, the domestic PD170 engine is counting days to hang out with ANKA. According to the information obtained from C4Defence, the development work on the engine has been completed. ANKA’s flying conditions were applied to the motor and the previously targeted performance data was reached. 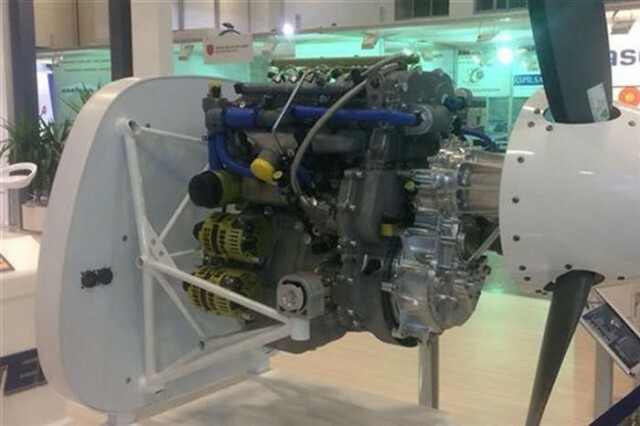 The project, signed between the Undersecretariat of Defense Industries (SSM) and TEI on December 27, 2012, included the development of a turbodiesel aviation engine with superior technical features for use in MALE class unmanned aerial vehicles through the development of domestic facilities. In the frame of the project, engine was developed first, then ANKA’s flying atmosphere conditions were created in place and the engine was called. According to the experiments, the 2.1 liter diesel engine produced 170 horsepower between 0 and 20 thousand feet (about 6 thousand 600 meters) at 2300 cycles. As the amount of oxygen decreased, the engine’s power began to fall to an altitude of 20 thousand feet as expected. The engine produced 130 horsepower at an altitude of 30,000 feet. At present, the current engine used at ANKA produces 155 horsepower between 0 and 11 thousand feet altitude. With this comparison, the critical altitude for the TEI’s engine is twice as high as it is in use. At an altitude of 30,000 feet, it consumes 10-11 percent more fuel than the current engine produces at half the power. 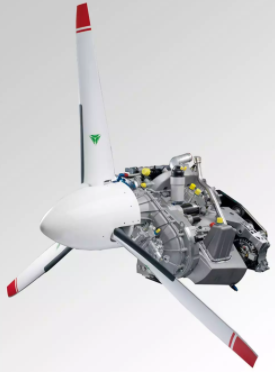 The TEI’s engine is 5 kg heavier than the current motord, but the weight power ratio also improves as it provides more power for this weight with flight performance. While the current engine is forced out at an altitude of 30 thousand feet, the developed engine does not stay at 30 thousand altitude and it is even easier to reach the altitude of 40 thousand feet. In this case, ANKA will have a motor that can reach 40 thousand feet altitude (about 13 thousand 300 meters). The engine development work has been completed but the maturity tests are ongoing. The engine will be delivered to Turkish Aerospace Industries (TAI / TAI) at a ceremony attended by National Defense Minister Nurettin Canikli. Then the integration of the motor into the ANKA platform will begin. The vehicle integration will have been tested well enough to begin. The engine qualification and civil certification is expected to be completed by 2018. Turkey EASA CS-E project, for the first time on the basis of Airworthiness Certification and Qualification EASA Part 21 Design Organization Approval the basis of receivables. 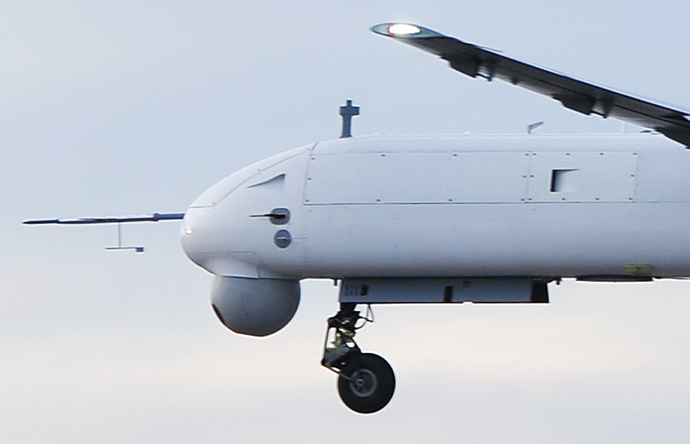 The Anka UAV system is fitted with a tricycle-type retractable landing gear consisting of a single nose landing gear (NLG) and a pair of main landing gear (MLG) units. The NLG integrates shock absorbing components, while the MLG is equipped with spring type retractable struts. The main gear units have electro-mechanic brakes. The nose unit is steered by an electromechanical servo actuator. The flight operations of Anka are controlled and monitored using an advanced ground control station (GCS). 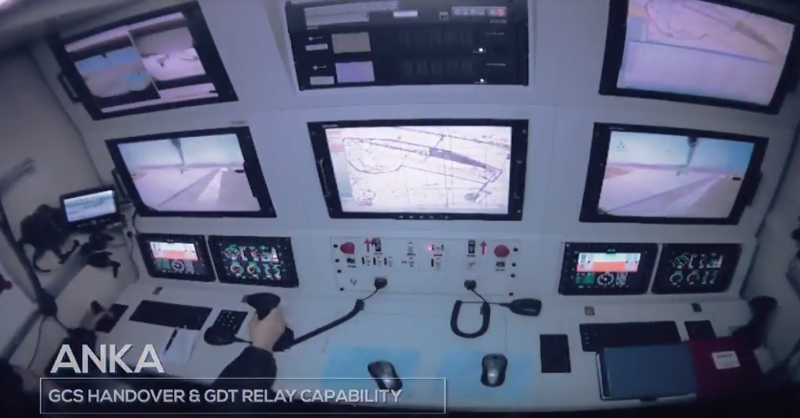 The GCS is equipped with dual command and control consoles, as well as simulation and playback capabilities. The payloads of UAV are controlled in real time from the GCS during flight. The GCS is housed in a Nato compliant ACEIII type shelter. It complies with the STANAG 4586 standard. The control station can be interfaced with external command, control, communications, computers and intelligence (C4I) systems. This entry was posted in Uncategorized on February 3, 2018 by nonothai.